On March 9th Aaron Elswick (TGDA) was invited to kick-off the discussion on water management at Biomimicry Chicago’s Thirsty Thursday March Event. This monthly gathering aims to connect like-minded colleagues from a wide diversity of backgrounds that are interested in sustainability and resiliency issue in our cities. Each month an invited speaker presents a challenge facing our built environment and shares their experience involved with mitigating the challenge through the lens of biomimicry. Biomimicry is an approach to innovation that seeks sustainable solutions to human challenges by emulating nature’s time-tested patterns and strategies. 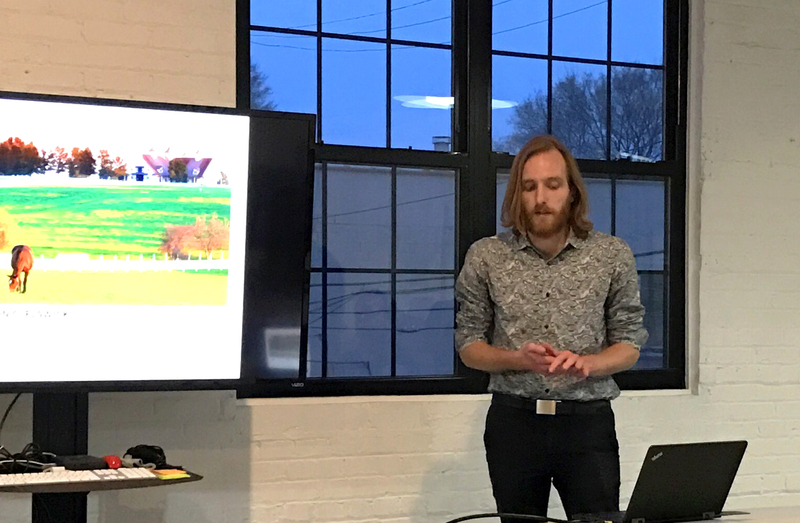 In summary, Aaron’s presentation introduced the group to the topic of water management with an explanation of the causes, challenges, and impacts of poor water management in the City of Chicago. Also addressed were alternative green infrastructure strategies that TGDA uses, TGDA’s Design for Life company ethic, and metrics-based investigation of TGDA's built work projected benefits. TGDA’s Design for Life approach, designing with a green infrastructure focus, by definition is biomimetic. TGDA’s approach to water management views water as a resource and not as a waste. Utilizing nature and ecology as a tool, TGDA’s work seeks to mimic natural conditions to allow for natural processes of water filtration and infiltration to occur. We are grateful for the opportunity to share our expertise with the group and we really enjoyed the engaging group discussion that the presentation facilitated. TGDA encourages you to join us next time on April 6th for Biomimicry Chicago’s Thirsty Thursdays: Carbon as Catalyst. To register and/or find out more about the event please click here.